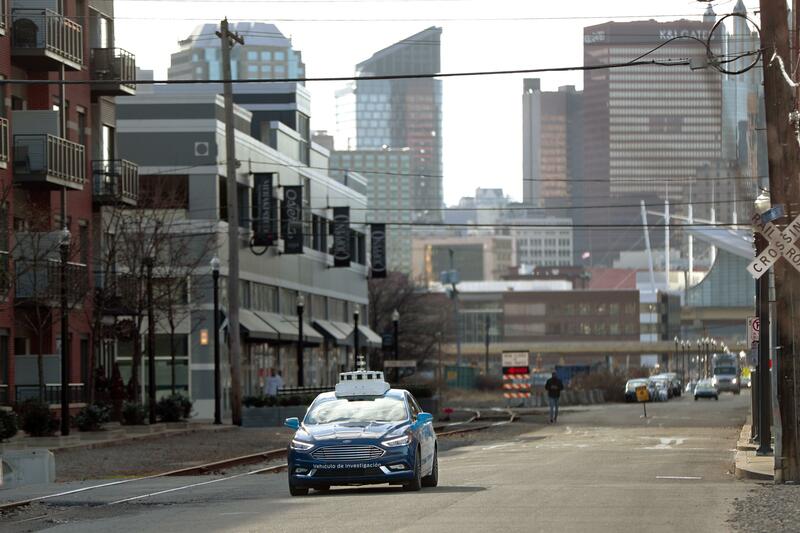 UPDATED: Tue., Feb. 5, 2019, 7:12 p.m.
PITTSBURGH – In the world of autonomous vehicles, Pittsburgh and Silicon Valley are bustling hubs of development and testing. But ask those involved in self-driving vehicles when we might actually see them carrying passengers in every city, and you’ll get an almost universal answer: Not anytime soon. An optimistic assessment is 10 years. Many others say decades, as researchers try to conquer a number of obstacles. The vehicles themselves will debut in limited, well-mapped areas within cities and spread outward. “It’s like losing part of your vision,” said Raj Rajkumar, an electrical and computer engineering professor at Carnegie Mellon University. Researchers are working on laser sensors that use a different light beam wavelength to see through snowflakes, said Greg McGuire, director of the MCity autonomous vehicle testing lab at the University of Michigan. Software also is being developed so vehicles can differentiate between real obstacles and snowflakes, rain, fog and other conditions. Add to that the antagonism that some feel toward robots. People have reportedly been harassing Waymo’s autonomous test vehicles near Phoenix. The Arizona Republic reported in December that police in suburban Chandler have documented at least 21 cases in the past two years, including a man waving a gun at a Waymo van and people who slashed tires and threw rocks. One Jeep forced the vans off the road six times. Waymo CEO John Krafcik said in a recent interview his company’s vehicles are still encountering occasional problems at intersections. Surveys taken after the Uber crash showed that drivers are reluctant to give up control to a computer. One by AAA found 73 percent of American drivers would be too fearful to ride in a fully self-driving vehicle. That’s up from 63 percent in late 2017. Autonomous vehicle companies are showing test passengers information on screens about where the vehicles are headed and what its sensors are seeing. The more people ride, the more they trust the vehicles, Waymo’s Krafcik said. “After they become more and more confident, they rarely look at the screens, and they’re on their phones or relaxing or sleeping,” he said. Published: Feb. 4, 2019, 1:13 p.m. Updated: Feb. 5, 2019, 7:12 p.m.